A movie review of ​WALKING OUT. 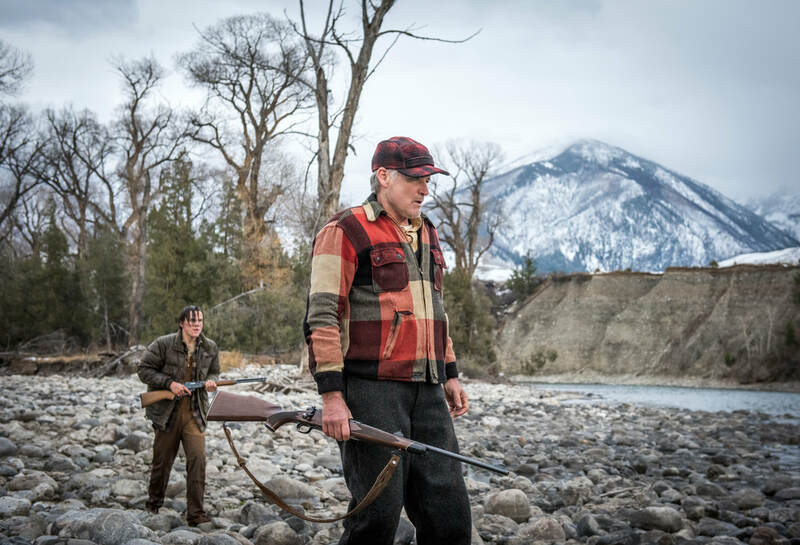 This is a slightly hokey TV movie of the week, fathers and sons melodrama, set in the wilderness. Humans against nature should always be exciting. Director Werner Herzog has spent his career, in narrative features and documentaries, talking about our relationship with the wild. Cinema likes to show the notion that if something can go wrong it will. From 127 HOURS to EVEREST, the silver screen wants us to tread carefully, and with plenty of backup. In the middle of nowhere, of course without phone signal, the lead duo has nobody but themselves. Mountain rescue, in this neck of the woods, seems to be non-existent. One guesses when you have a continent-sized country, resources are going to be spread thinly. So, they are believably isolated. 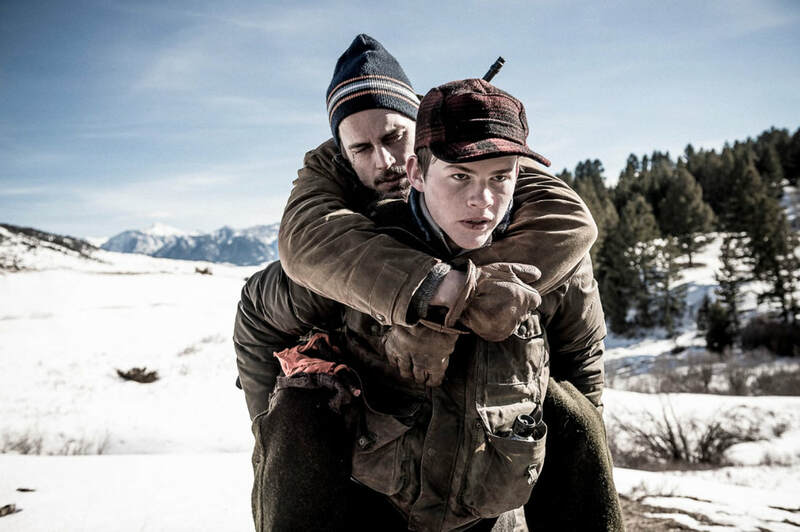 A tale of survival, tied to father and son bonding and coming of age, does not have thieves to liven up the story (à la the underrated, energetic CLIFFHANGER). Run-of-the-mill characterisation is punctuated by shots of the stunning Montana scenery to hold the attention. (You can see why Sam Neill’s Borodin in THE HUNT FOR RED OCTOBER stated, “I would have liked to see Montana.”) Our fathers never really know us is the overt message of WALKING OUT. 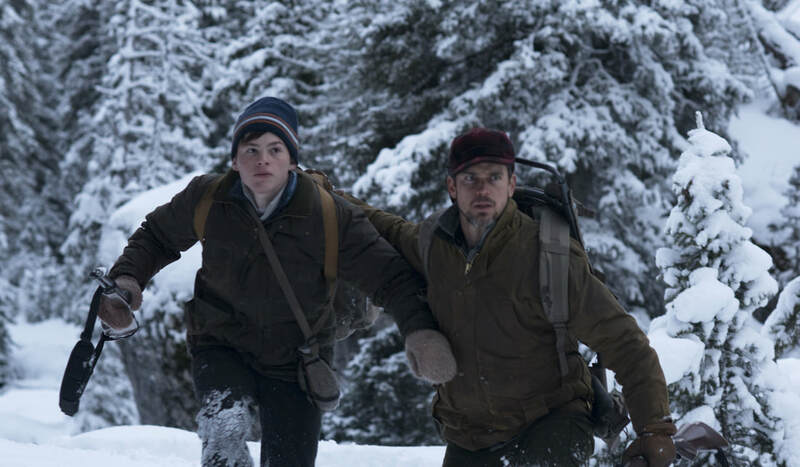 November, city-boy David flies in from Texas to visit his estranged dad, Cal (Matt Bomer) – a man from a different time, living as if technology has never existed beyond the automobile and radio. His only child is reluctant to embrace the rustic existence, though comes to admire and see its wholesome virtues. WALKING OUT is tapping into arguably what made AVATAR a success: Our subconscious desire for a pared-back life – not having to worry about the rat race. Also, Cal epitomises a dying form of masculinity. He is a human time capsule, the last generation of bygone eras. It takes a long while before David becomes likable, when he has to step up and try to save them both. Until then he is a morose, sulky teen. 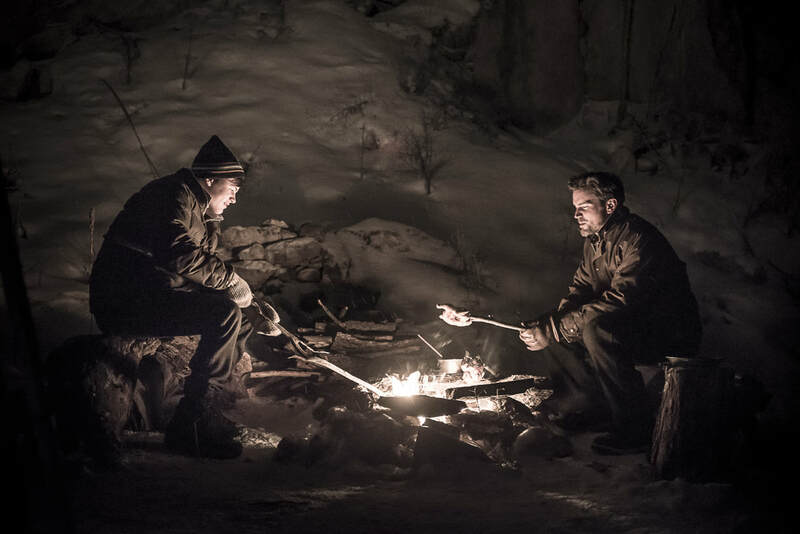 The film reminds of the far worse, BRIGHT NIGHTS, which is also about father-son quality time in the wilderness. Are both movies trying to say that inarticulate male role models turn middle class kids inwards? Not enough psychology is offered up to understand where these narratives are coming from. Cross-cut with the main thread are flashbacks to Cal’s own childhood with pater, Clyde (Bill Pullman). We see Young Cal (Alex Neustaedter) on a formative hunt. It is a bit dramatically inert, and appears to be what made him the person he is. Clyde haunts his son, but again the characterisation is anaemic. The next story act is signalled by a nonsense bear attack. THE REVENANT this isn’t. It kinda derails WALKING OUT before it has a chance to get going.